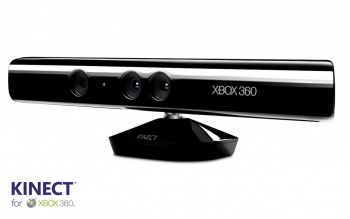 How well will Kinect do? One analyst thinks he knows. Colin Sebastian, an analyst for Lazard Capital Markets, is predicting that Microsoft will ship three million units of its new motion controller Kinect in 2010. "With the Kinect motion sensor, games will initially include fitness, dance, sports and kart racing, suggesting that Microsoft is targeting the Wii audience," said Sebastian. "Microsoft is planning for a global release of Kinect in November (price point TBD), with 15 titles available at launch. We expect roughly 3M units of Kinect to ship worldwide in CY10, with Microsoft selling Kinect on its own or as part of a hardware bundle." Is Sebastian right in his predictions? I honestly have no idea, and I'm not going to try and pretend that I know better than a financial analyst. How well Kinect will do depends on so many different factors, I wouldn't even like to guess. Marketing is going to make a big difference, as is price, and at this early stage, those elements are missing.